Adrenalin Snorkel and Dive is Townsville’s longest established dive training and marine tourism operator providing snorkelling and diving trips and training of divers as part of a full dive service. We are a multi-award winning, PADI 5-Star Dive Centre specialising in snorkel and dive trips to various reefs on the Great Barrier Reef, and the SS Yongala. We also operate liveaboards that visit the reef and SS Yongala on the same trip. Our experienced, professional and friendly crew work hard to ensure your stay with us is safe, comfortable and fun. 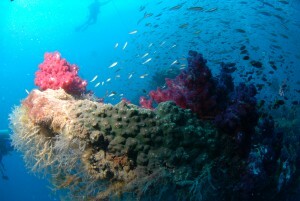 Adrenalin Snorkel and Dive is committed to protecting our natural environment. All our trips are ECO Certified by ECO Tourism Australia. This involves a commitment to environmental sustainability and education of our guests. Our day vessel Adrenalin is a 14-metre flybridge vessel which cruises at 17 knots. It is fully fitted out for diving and snorkelling with easy access in and out of the water. Our Liveaboard vessel Sea Esta is a 17-metre mono-hull, which travels at approximately 7.5 knots. She was built in Townsville, commissioned in 1982 and has been servicing the Great Barrier Reef from Airlie Beach to Cairns as a dive vessel. 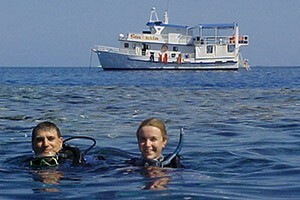 Adrenalin Snorkel & Dive also operates Dive Courses from Open Water to Assistant Instructor. Our day trips to the SS Yongala and the Outer Great Barrier Reef depart from Townsville and Magnetic Island. 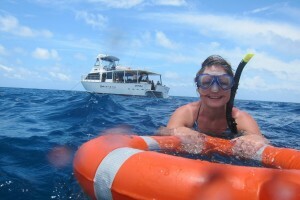 Why Choose Adrenalin Snorkel & Dive? Over many years of operation Adrenalin Snorkel & Dive has firmly established itself as the best snorkeling and diving provider in the Townsville region. We are a locally owned and run business whose sole ambition is to provide our guests with experiences that will last a life time. We are the only operator that travels direct from Townsville and Magnetic Island to the Great Barrier Reef and the SS Yongala Wreck. We only take small groups out on our vessels, meaning our crew spend far more time with each of our guests than larger operators in Cairns and Airlie Beach. Rest assured that you are in very capable and caring hands when you choose to train or travel with us. So jump on board and let us show you what makes the Central Section of the Great Barrier Reef so unique and spectacular. Adrenalin Snorkel and Dive has just earned from Eco Tourism Australia ‘Green Travel Leader’ Status, as we have been a fully certified Eco Tourism operator for the past 10 YEARS. We actively seek out new ways to reduce our waste and carbon footprint in every facet of our business. Our trips are focused on educating our guests on the health of the reef and what we can all do as individuals to reduce our impacts upon the environment. 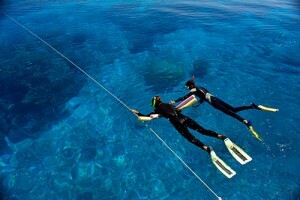 Adrenalin Snorkel & Dive, has been the recipient of multiple awards during our time in business. DIVE Queensland promotes the advancement of diving and diving tourism in Queensland, Australia. The Ecotourism Certification Program is Ecotourism Australia’s flagship program. 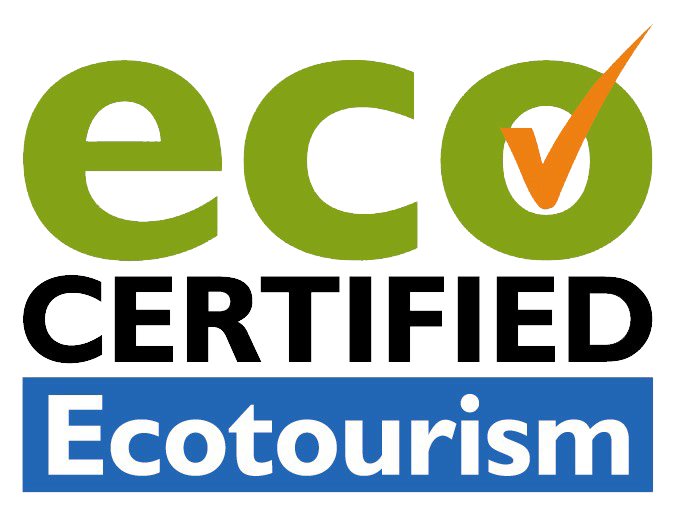 Ecotourism certification is for nature tourism operators and it provides industry, protected area managers, local communities and travelers with an assurance that the certified experience is backed by a commitment to best practice ecological sustainability, natural area management and the provision of quality ecotourism experiences. Great Barrier Reef Marine Park Authority’s fundamental obligation is to protect the Great Barrier Reef Marine Park and the World Heritage Area. The database on Vocational Education and Training in Australia. TGA is the official National Register of information on Training Packages, Qualifications, Courses, Units of Competency and Registered Training Organisations (RTOs) and has been developed for experienced training sector users. To engage the tourism industry in all decision processes that shape our future, businesses need an effective and united voice. Townsville Enterprise’s mission is to build and develop North Queensland to achieve sustainable economic and lifestyle benefits for the Region and Australia.